Biocarbon (biochar, charcoal) is the solid product of thermal degradation of biomass at medium to high temperatures in the absence of oxygen. It represents an important energy vector that has a higher heating value on a mass basis than biomass and a higher energy density when compressed. Through carbonization and removal of the main part of the volatiles, an upgraded biomass fuel is produced, with favorable combustion properties. For this reason, biocarbon has a great potential as solid fuel in small scale boilers and stoves and also industrial co-combustion plants, partially substituting fossil coal. Biocarbon can be considered as “green coal”. The main advantage of its use in coal fired power plants is that no technology upgrade is required and the fuel is carbon neutral. Biocarbon can also be used in the metallurgical industry as a substitute for the fossil reductants coal and coke. This chapter presents an overview of property differences between biocarbon produced from different thermal processes including pyrolysis, gasification and hydrothermal treatment. The reviewed properties are important to consider when biocarbon is used as a solid fuel in combustion appliances. 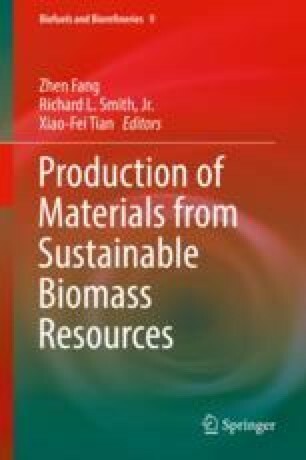 Kinetics of biocarbon combustion and emissions from combustion of biocarbon, such as particulate matter, NOx and carbon monoxide, are presented along with analyses on techno-economic and environmental aspects of biocarbon pellet combustion. The authors acknowledge the financial support by the Research Council of Norway and a number of industrial partners through the project BioCarb+ (“Enabling the biocarbon value chain for energy”).